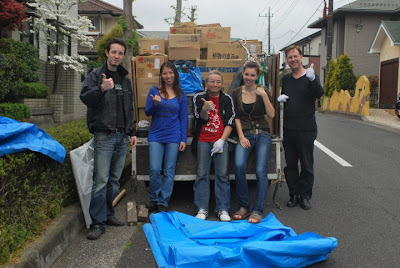 The Kuroiwa family contacted us about working together to bring relief goods to Minamisanriku through a fisherman that they were put in touch with by one of their English students. 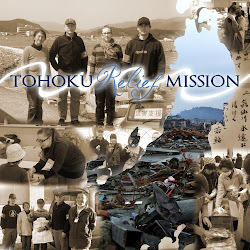 This man has been working to personally bring aid and help to many of the houses that have been cut off by the disaster, and helped us to know what specific items could be a help in that area. 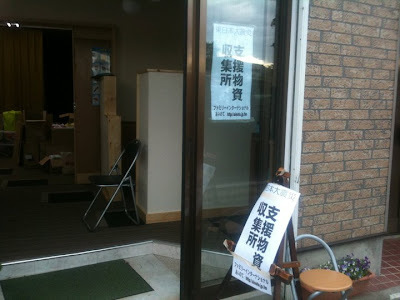 Arai-san was able to put an ad in the newspaper for items to be donated for this trip, and many of our neighbors brought what they could. The Kuroiwa family got aid from their neighbors as well. 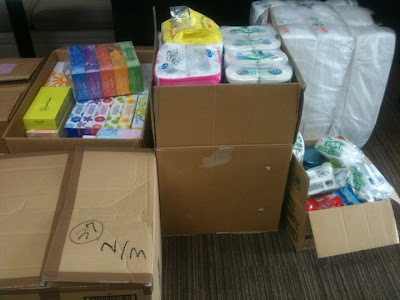 On Sunday, we held an "aid-assembling" day, and volunteers from Ainote came to help with the packing. Thank you!!! This is the group of people who left to deliver the aid to Minamisanriku. Ganbattene!! !